1 Viventor review: What is Viventor? 2 2 Viventor review: How does Viventor work? 3 3 Viventor review: What are the Advantages of Investing in Viventor? 4 4 Viventor review: When Did Viventor Launch? 5 5 Viventor review: How Do I Sign Up? 7 6 Viventor review: Who Can Open an Account? 8 7 What’s The Minimum Deposit / Investment? Viventor review: What is Viventor? If you are looking for a secure investment opportunity to go ahead with, Viventor is one of the best opportunities available out there to consider. Therefore, you can get your hands on this investment opportunity and try it without keeping any doubts or second thoughts in mind. Viventor follows a safe approach when it is lending. The pre-funding of loans and buyback guarantee bear testimonials to prove the above-mentioned fact. As an investor, you don’t need to keep any doubts in your mind when going forward with this investment opportunity. The unique features that you can discover in this peer to peer lending platform have contributed a lot towards its popularity as well. 2 Viventor review: How does Viventor work? Before you go ahead with Viventor, it is important to have a clear understanding on how it works. This platform has got an excellent primary market. 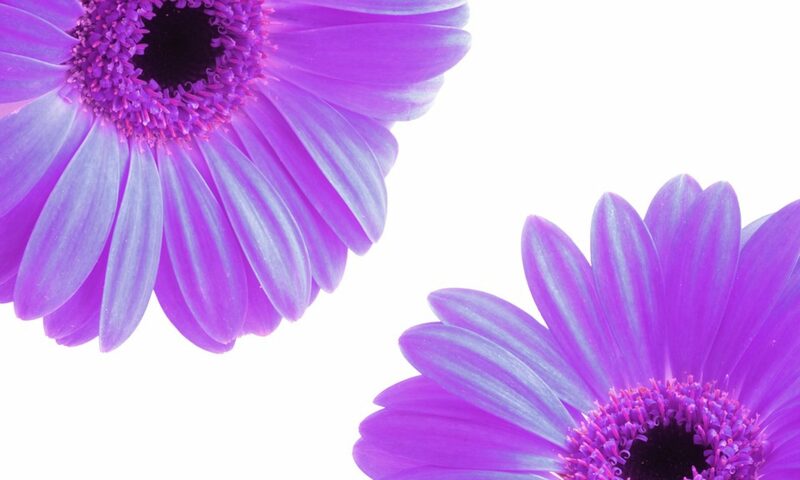 It can be considered as the most outstanding feature that you can discover in it as well. 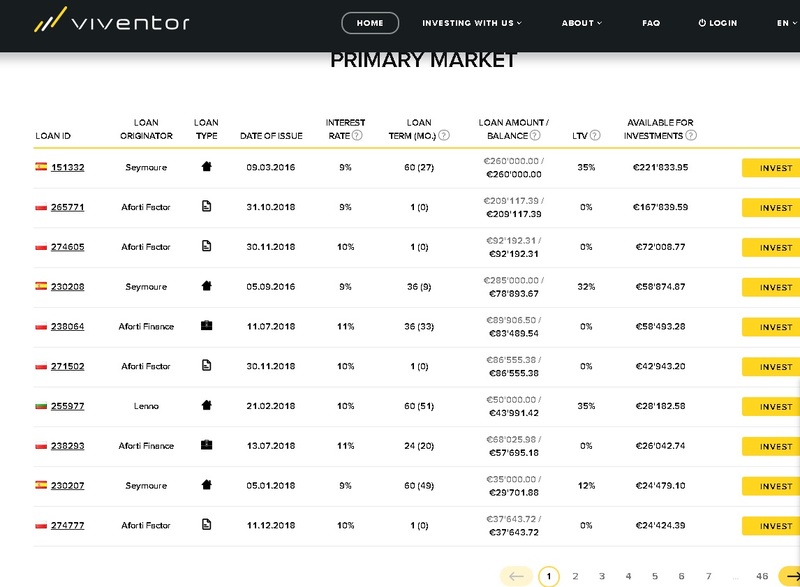 In the primary market, you will be able to see 1,000 loans listed as of now. Most of these loans are from Sweden and Spain. The duration of the loans range from 1 month to 72 months. The number of short term loans in the platform are significantly high when compared to the long term loans. Therefore, the investors of Viventor will be able to invest their money and experience high liquidity. In other words, you can make sure that you are getting the repayment amounts at the end of every single month. This is the basic functionality that you will be able to get out of Viventor. As an investor, it is worth to take a look at the secondary market that is being offered by Viventor as well. In fact, the secondary market is one of the coolest features that you can discover on this platform. It provides the opportunity for the investors to go ahead and exit an investment, before it reaches the maturity period. If you are in need of urgent cash, such as to settle your bills, this feature would come in handy. Hence, you can keep peace of mind while you are investing money on Viventor as well. You will be able to overcome all the unforeseen expenses and stay away from hassle. 3 Viventor review: What are the Advantages of Investing in Viventor? People who invest in Viventor will be able to experience a large number of advantages. The ability to receive return on investment in every single month can be considered as the biggest advantage that you will be able to get out of Viventor. You will not have to block your money and wait for a long time. On the other hand, you will be able to gain access to your money at any given time and exit the investments before they reach maturity. This can also make sure that you are not blocking your money. Auto investing can also be considered as a great feature that you can find. This will help you to go forward with investment opportunities, without spending a lot of time. 4 Viventor review: When Did Viventor Launch? Viventor was launched back in February, 2016. Within a short period of time, the investment marketplace has received a lot of attention from investors. The unique service offered has contributed towards this fact. 5 Viventor review: How Do I Sign Up? Any interested investor can quickly sign up with Viventor. All you have to do is to visit the official website and then proceed with the sign up. The sign up process is quick and easy. Therefore, you can make sure that you don’t spend a lot of time when enrolling yourself to the platform. Use this unique code when you register to get 5€ bonus after 30 days if you invest 500€ or more. 6 Viventor review: Who Can Open an Account? There are some basic requirements, which you need to fulfill while you are opening an account in Viventor. First of all, you need to keep in mind that you need to be at least 18 years old. In addition, you need to have a bank account in the SEPA region. You should also have a valid passport, tax certificate and utility bills. 7 What’s The Minimum Deposit / Investment? The minimum deposit amount of Viventor is €50. As you can see, the amount that investors have to invest when joining the platform is relatively low when compared to the other similar investment opportunities available. You can ever invest in one line for 5€. Any person who can get through the above-mentioned qualification requirements will be able to get through and open an account in Viventor. There are no other strict regulations for signing up and creating your account in Viventor. There are no any special offers as of now. However, Viventor is providing special offers from time to time. Therefore, you are encouraged to keep on referring to the website. Whenever they have a special offer, they will be providing all the information on the website. Viventor has a high investment volume. As of now, around 1,000 loans are listed on the site. The amount is growing along with time, as more and more people get to know about Viventor investment platform and the benefits that they will be able to receive out of it. The rates offered by Viventor are competitive. It changes based on the amount that you invest. The investment period also ranges from 1 year and goes all the way up to a litle bit more as 5 years. As mentioned earlier, you will have to go forward with a minimum investment amount of 5 Euros. The steps that you have to follow in order to credit your account is not a big deal. All you have to do is to credit the account with your existing bank account. However, you need to make sure that you have a valid bank account in the SEPA region to proceed with. The repayment period of investments are flexible. As there is a larger number of short term loans in Viventor, you will be provided with the opportunity to get your repayments within a short period of time. In other words, the repayments of investments will take place on a monthly basis. There are no extra costs that you will have to bear when you are using the services offered by Viventor. You just need to keep peace of mind and enjoy the outstanding service that you will be able to get at the end of the day. You should also keep in mind that Viventor is providing you with the chance to place bids manually as well. This also comes at no extra cost. You will not be able to find any major conditions for the lenders in Viventor. You just need to be at least 18 years old and you need to have a bank account in the SEPA region. If you have, lending in Viventor will not be a big deal that you have to worry about. There is no risk in going forward with your investment opportunities in Viventor. That’s because the marketplace is regulated and verified. You can keep peace of mind when you move forward with Viventor and do your investments. Viventor provides a buyback guarantee. This can provide a great relief for all the individuals who are concerned about insurance and warranties before they go forward with the investment opportunities. The return on investment that you can experience when you go forward with Viventor is impressive. Even though it depends on the amount that you invest, you will be able to end up with a positive node. You will also be able to get the return of your investment on a monthly basis. You don’t need to be a technical person to access Viventor and use the interface. It has got one of the smoothest interfaces. You will absolutely love the uniqueness of this interface and there is no ready for you to get confused while you are accessing it. As you can see, Viventor is one of the greatest opportunities available for the investors out there. This investment opportunity has got its own perks. For example, you will be able to get the return of your investment on a monthly basis. On the other hand, you can also make sure that you can gain access to your funds at any given time. The auto investment opportunities can keep you away from the frustration of investing as well.